The SAT, or the Scholastic Aptitude Test, is an incredibly important test – it’s one of the biggest factors in determining a student’s future and potential success beyond high school. This single exam measures what students have learned, and it’s one of the top ways colleges assess how they’ll handle the next four years of their education. That’s why it’s so important for parents to prepare their kids for the SAT as early as possible. Getting a head start on test prep helps you know exactly what tools you’ll need to help your child ace the exam, as no SAT prep plan is one size fits all. 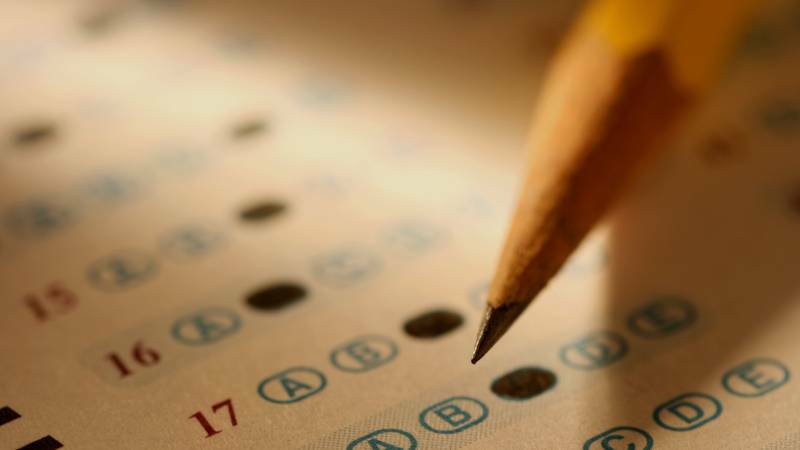 Here are five ways prepping for the SAT early can help you and your child. Every person is unique, with individual strengths and weaknesses. The SAT tests students’ abilities in multiple areas. Though it’s primarily an academic exam that tests math, reading, and writing skills, the SAT also tests students’ logical thinking, speed, quantitative skill, and other important areas that can indicate success in college. When you begin preparing for the SAT early, you can understand the areas in which your child is stronger as well as those in which he or she needs additional help. There isn’t a one-size-fits-all SAT study plan. Instead, your plan should be designed around your child’s particular strengths and weaknesses so you can build on those strengths and improve efficiently in weak areas. A good way to diagnose a student’s skills and areas of need early is to take the PSAT at least six months before taking the SAT. Doing this will give you and your child a baseline score, which is a great indicator of how they’ll perform on the SAT itself. That PSAT score will determine the areas in which your child needs to focus the most for test prep. When you begin prepping for the SAT well in advance of the test date, your child will have enough time to master every section of the test and understand what’s required. With regular prep, students can get familiar with the types of questions asked, the rhythm of the test’s timing, and patterns that appear throughout the exam. It also helps if students have mastered the requirements of each section, such as the no calculator versus calculator rules for math portions. Be sure to have your child master the test environment too. It’s a good idea to take a few full practice tests in a setting similar to what your child will experience on the actual test day: set a timer and stick to it, and complete the test in a silent room with no distractions. The more practice a student gets in a test-like environment, the better prepared they’ll be once they enter the testing room. This can also help calm their nerves as they’ll know exactly what to expect. Beginning SAT preparation early gives you and your child the advantage of all benefits offered by the cutting-edge study techniques incorporated by many SAT prep programs. Modern SAT preparation programs are research-based and include out-of-the-box study techniques tailored for the unique needs of each student. With enough time between your child and the exam, your child will be able to maximize tutoring, at-home studying, or even online prep programs to achieve his or her score goal. When you start early, you’ll be able to gain from the full use of these techniques so your student’s prep will be both fun and illuminating. College is expensive, and families everywhere struggle to pay for it. The College Board¹ reports the average tuition per year for a four-year private college is $32,410 and the average annual tuition at a public four-year institution for in-state students is $9,410. One way to cut the costs of college is to win merit-based scholarships. These scholarships are available at many universities and colleges across the U.S., and SAT scores are one of the biggest factors used to determine which students receive these awards. The higher your child’s scores, the more scholarships opportunities await. The National Merit Scholarship Program² is tied directly to PSAT scores. The top performers on the PSAT in each state are awarded $2,500 in scholarship money. In addition, there are numerous universities that have paired with the National Merit program to offer scholarship money. These institutional scholarships range from a few hundred dollars to full tuition, making it worthwhile to score highly on the PSAT and the SAT. The SAT is used to differentiate students like your child from the thousands of other applicants applying to college. SAT scores can offer you a way to pay for college with scholarship opportunities and access to different colleges around the world. Because of the importance colleges place on SAT scores, it’s vital to prepare. By starting early, you can give your child a head start and can obtain the scores to set themselves on the path to their future. It’s important when you’re searching for an SAT prep program online that you remember there is no one-size-fits-all approach that works for everyone and every student. Instead, identify your child’s strengths and needs and look for a program that can be customized and tailored to them. To learn more, you need to conduct thorough research online and compare the different programs in order to choose the one best suited for your child’s unique needs.